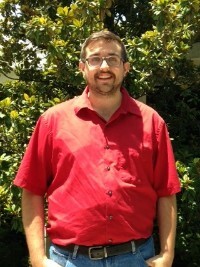 Allen has completed his orientation time at the UMVIM, SEJ office where he completed Team Leader training, competed Early Response Team training, learned about the organization of the United Methodist Church and its connectional structure, and assisted with some of the daily responsibilities. 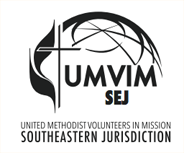 In addition, he attended the North Alabama annual conference June 4-6 where he also represented UMVIM, SEJ at its mission display. Over the next three weeks, Allen will serve with the North Carolina Conference Disaster Recovery Ministry under the supervision of Ann Huffman, North Carolina Conference Call Center Volunteer Coordinator and Disaster Readiness Coordinator. While there, he will be learning all aspects of how an annual conference responds following a disaster; as well as, working with volunteer teams coming to serve. He will also have the opportunity to visit Robeson County Community Center, a conference UMVIM project and learn how they were affected and what they are doing in disaster recovery. Afterwards, Allen will travel to Eleuthera Island to serve with Bahamas Methodist Habitat, a disaster outreach ministry of the Bahamas Conference of the Methodist Church. An UMVIM project, BHM, is also dealing with disaster recovery following Hurricane Matthew October, 2016. When not responding to disaster, BMH organizes and facilitates about 500 volunteers annually. Volunteer teams serve on projects that address substandard housing and promote community. Alicia Sands, the new BHM Executive Director, indicated that he would also be serving with teams coming during July at Camp Symonette, the base of BMH operations. Allen will serve on home repair projects with these teams but will also have community building opportunities.